Hands up, who still stores their cryptocurrency on Coinbase, Bitfinex, Blockchain, or another website? A slap on the wrist for you, unless you’re keeping a small amount online that allows you to make transactions quickly. For most Bitcoin and altcoin HODLers, keeping your crypto stash constantly connected is an accident waiting to happen. It’s curious, though, how many people still opt for convenience over security. Sure, they hear about hacking attacks and investors being left with a wallet balance of zero. But, somehow, they don’t think it will happen to them. Yet with around $9 million worth of cryptocurrency stolen every day, it’s time to realize you could be part of the next statistic. There are some misconceptions surrounding hardware wallets. Rather like children’s pictures showing penguins and polar bears walking side by side (even though they live poles apart) the same thing happens with cryptocurrency and wallets. People think that they’re actually storing their digital coins in their hardware wallet. That isn’t the case. Your coins are always on the blockchain. What your hardware wallet does is provide the gateway that connects you to them. So while they don’t hold your actual cryptocurrencies (which, remember, have no physical form), they do provide access to them in the form of your private keys, which connect you to your coins on the blockchain. So, if you’ve been delaying your decision to purchase a hardware wallet, it’s probably time to make the switch. Keep your funds safe from hackers, and don’t become part of a cautionary tale. According to the makers of KeepKey, the best way to keep your private key secure is to limit its access to the internet. And that’s exactly what this sleek hardware wallet does. It’s easy to set up and send transactions from, looks good, and is pretty robust. In the past, KeepKey has been criticized for its customer support and a lack of support for altcoins. KeepKey currently works with Bitcoin (BTC), Bitcoin Cash (BCH), Litecoin (LTC), Dogecoin (DOGE), Ethereum (ETH), Dash (DASH), and a number of ERC-20 tokens. Trezor has definitely gotten a name in the market as one of the securest hardware wallets available. While the Trezor One is about as basic as they come, the Trazor Model T is an improved, “evolved” version. If your level of tech-savvy is pretty low, Trezor is probably the simplest hardware wallet to use. In terms of usability, the screen display and numbers are quite big, which makes readability easier. And if the clunky design of the One puts you off, the Trezor Model T is easier on the eye. Beyond the aesthetics, though, the Trezor Model T is still made from plastic, rather than stainless steel, which means that it may get damaged more easily than other devices. The Trezor Model T accepts most major altcoins and promises to work with more, although it’s important to note that there is no support for Ripple yet. 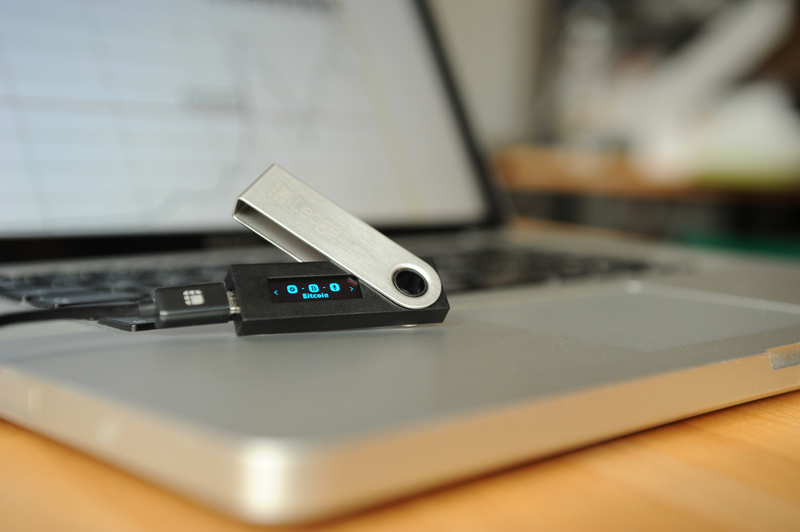 The Ledger Nano S is probably the best hardware wallet money can buy right now. It stores your Bitcoin and altcoin keys securely, and you can make transactions from it as well, just like the Trezor and KeepKey. The built-in screen on the device makes it easy to confirm transactions and, most importantly, the Ledger Nano S supports most cryptocurrencies out there, unlike other hardware wallets that are limited to Bitcoin, Ethereum, and a handful of others. The Ledger Nano S requires a little more patience and a technical mind to set up and install, although it’s still considered reasonably simple by those in the know. Its sleek design and stainless steel place this hardware wallet leagues ahead in the beauty contest, and in terms of robustness as well. There are plenty of hardware wallets on the market, and most of them do their jobs well. Whether you opt for a smaller screen and sleek design, or a more old-school interface, comes down to personal preference. Also, it should be noted that keeping your cryptocurrency offline doesn’t necessarily mean you need a hardware wallet. There are software wallets out there that also offer cold storage (meaning they’re not connected to the internet) just in case you can’t get your head around virtual currency in a physical hardware wallet. Whatever you decide to do, make sure you do it quickly. 2018 has already seen billions of dollars lost to hackers, so stop making it easier for them.